Thanks to the current descending movement, I opened a buy order at the best possible price. 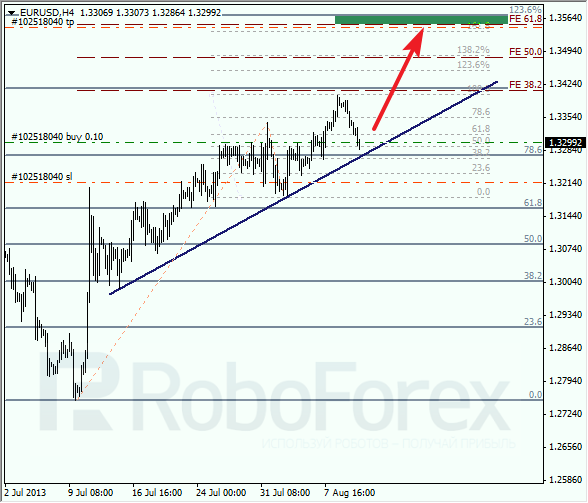 The short-term target is at the level of 1.3560, where we can see several fibo-levels. 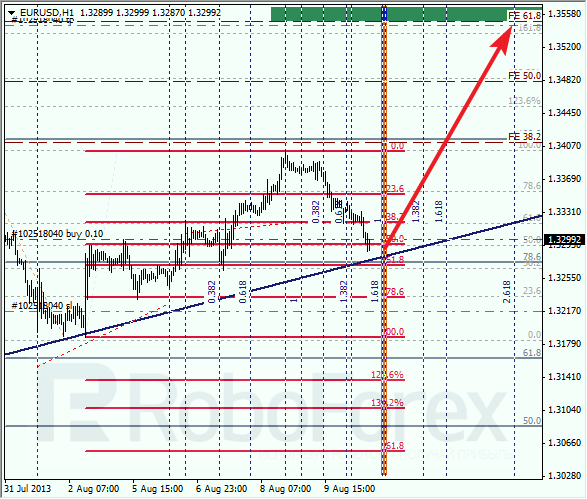 If the pair rebounds from the trend line, I’ll increase my long position. 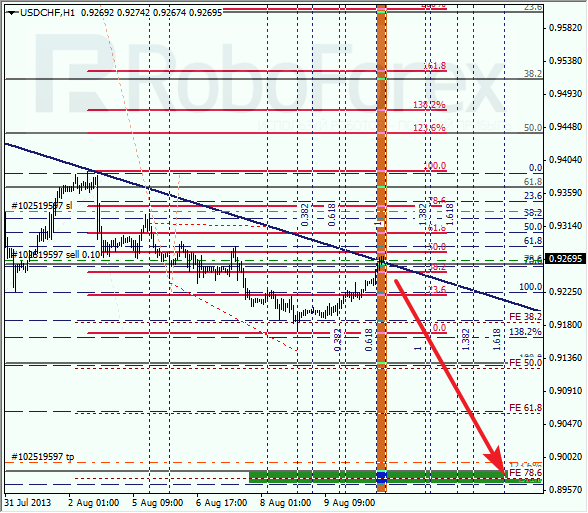 At the H1 chart, a correction is taking place, which may be supported by the level of 61.8%. Moreover, the temporary fibo-zone indicate a very important bifurcation point, where the price may make a reverse and start a new ascending movement. Franc is also being corrected; the target for the next several days is at the level of 0.8980, where there are several fibo-levels. So far I’ve opened only one sell order, but if the current tendency continues, I’ll open one more. 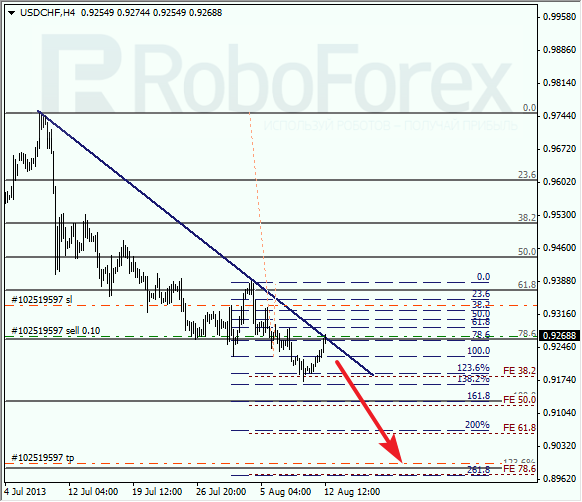 At the H1 chart, the pair is moving inside a temporary fibo-zone; the current correction reached the level of 50%. If the price rebounds from this level, the market may reverse. In this case, the pair may break the minimum quite soon.